Changing the face of racing one second at a time. For 2019, I plan to race our current Pro Fuel Nitro Harley in the AMRA and Manufacturers Cup Series, approx 10 races and regain our AMRA 2017 Championship Title. 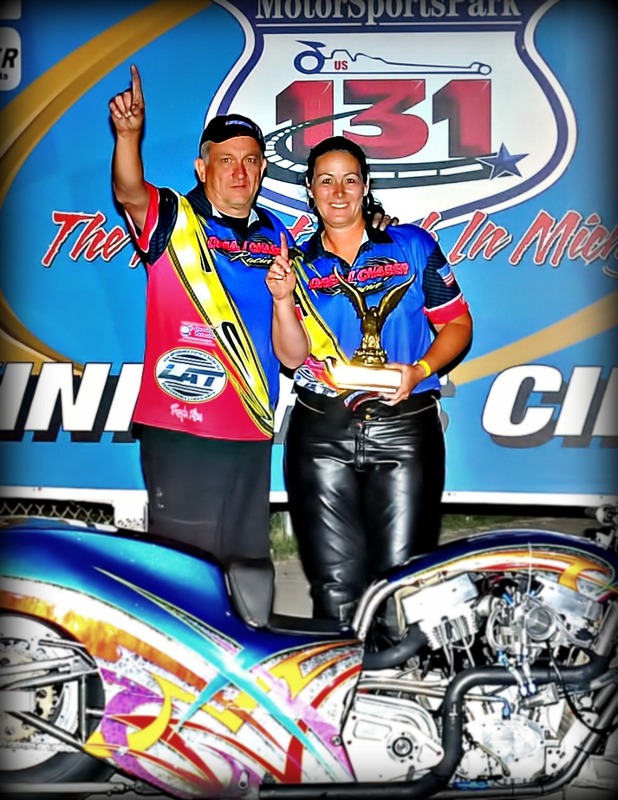 I continue to make plans to get seat time on a Top Fuel Harley, with the end goal to make history by becoming the FIRST WOMEN EVER to run a Top Fuel Motorcycle in an NHRA Mello Yellow Series event. 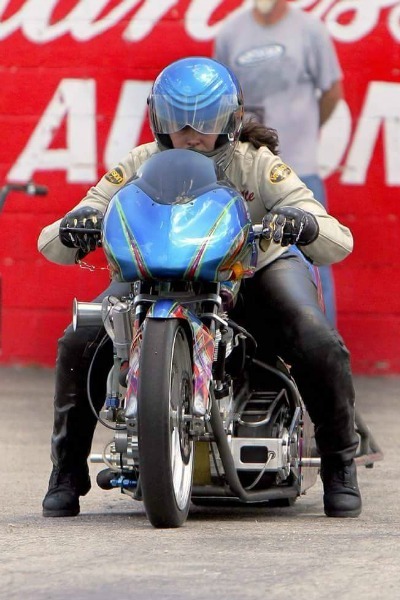 In addition to becoming the FIRST WOMEN to compete in the Top Fuel Harley class at the NHRA Mello Yellow Series, I will inspire and encourage others to pursue their dreams; I want to create a unique platform to share my passion. Lastly, using my engaging authentic personality, I want to partner with a Brand to influence interest with consumers and increase brand awareness. 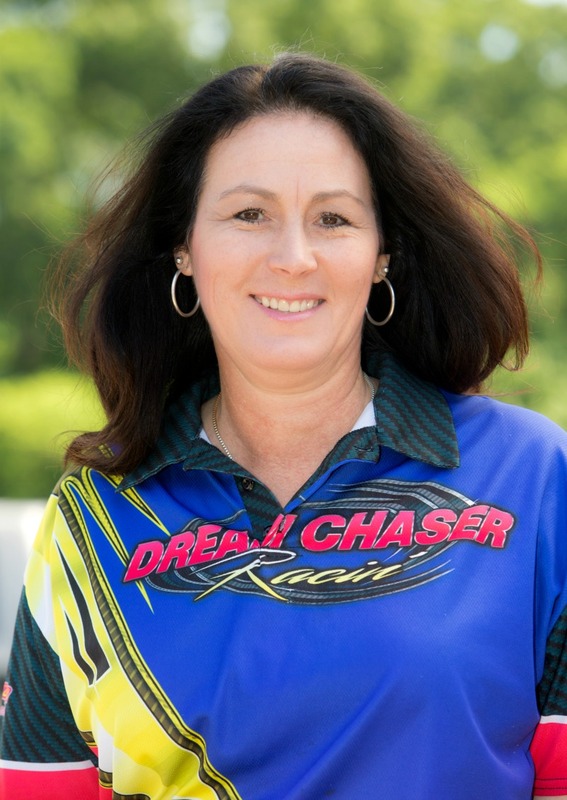 As one of only a few females in the world licensed to pilot a Nitro burning motorcycle, Janette has taken the racing community by storm. From 2012 to present we’ve been featured in all forms of media. Want to take your marketing efforts to a new level? Partnerships with Dream Chaser Racin’ are available. 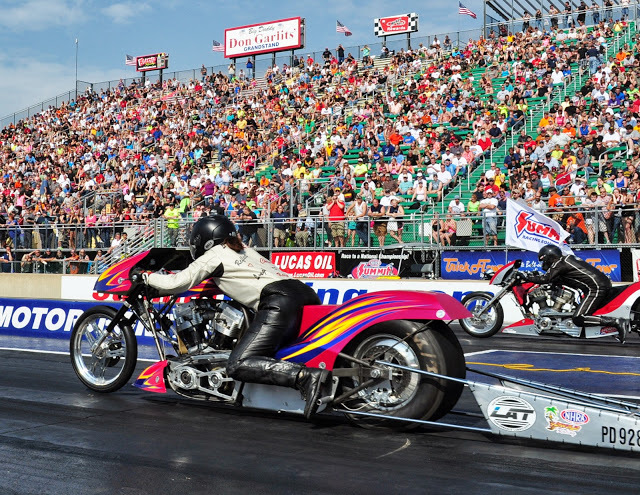 Come out to smell the Nitro and share the racing experience with the Dream Chaser Team! 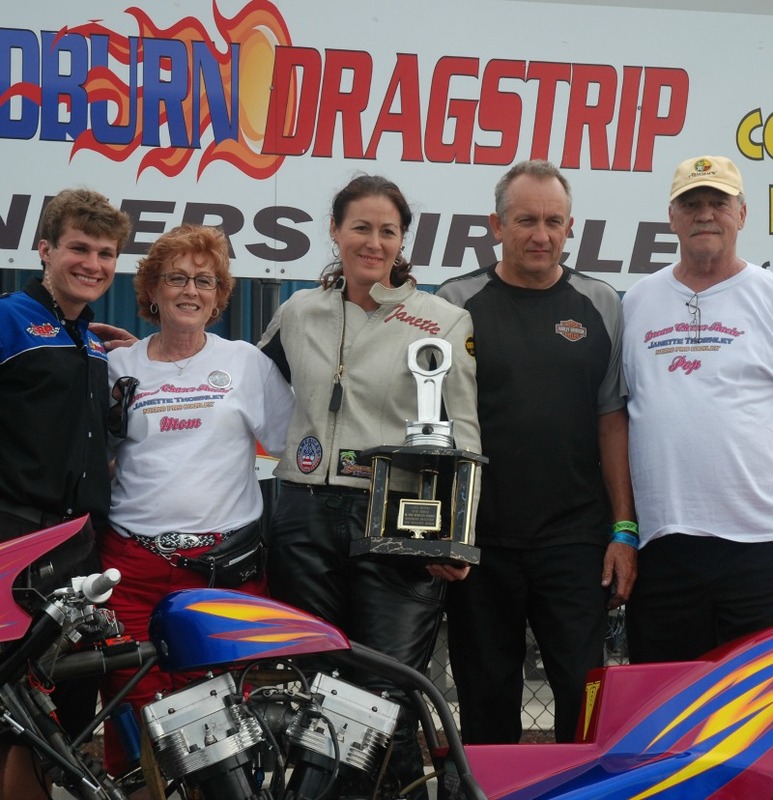 Want to get involved with Dream Chaser Racin’? Contact us to find out more about current needs and opportunities.